After spending three years working in a recording studio in Frankfurt, Germany, Mark Holden bit at the chance in the mid '80s to move back to Calgary and be part of the team at Thunderhead Studios - a new, multi-million dollar state of the art studio there. 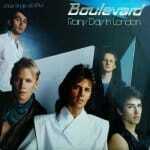 About a year later, he met guitarist Randy Gould, who was in the studio working on someone else's project at the time. They hit it off and began writing music together, and recruited American vocalist David Forbes, who was working in Calgary and who Holden had worked with on a jingle for a beer company. They soon added bassist Randy Burgess and Andrew Johns on keyboards, who'd both worked at the studio at one time or another. Recording demos obviously weren't a problem, so when the Calgary studio closed its doors about a year later, the band seized the opportunity and moved to Vancouver. Still without ever playing live, they hooked up with Bruce Allen (Bryan Adams, etc), who agreed to manage them and help them find a recording deal. They shopped the demos around and John Alexander at MCA eventually signed them in the spring of '87. Jerry Adolphe (ex of Prototype) answered an ad, and became the drummer while they began recording with producer Pierre Bazinet (Luba, Sass Jordan) at Ocean Sound and Little Mountain studios that fall. While Mike Fraser and Bob Rock (Metallica, Payolas among others) finished up the re-mixes over the winter, the band began rehearsing, and then played a few dates around Vancouver while honing their chops. Their self-titled debut album was on the shelves in the spring of '88, followed shortly thereafter by the first single. "In The Twilight" entered the charts and eventually climbed into the top 40. The band meanwhile had landed the opening slot on Glass Tiger's Canadian tour while "Never Give Up" was released as the second single, making it to #23. The song also became their first video, which received decent airplay on MuchMusic. They also found themselves opening for Boston on their comeback tour, which scored them a few dates in the US, as well. Before the year was over, "Far From Over" and "Dream On" were released, again making decent impressions on the charts, peaking at #26 and #31 respectively. Both had videos accompany their release as well, helping the album sell in excess of 70,000 copies, although none of the singles made the US charts. The record in general was a mix of guitar-driven rock and keyboard-tinged power pop, and also featured "You and I," with Johns on lead vocals. Several guest musicians also sat in, including Matt Frennette (Loverboy), Marck LaFrance, Brett Wade, and the Vancouver Chorale made an appearance. They spent the off-time on the road writing new material, making the trip back to the studios in the fall of '89 that much easier. By that time however, Burgess had left and the new bassist was Tom Christianson, and Randall Stoll replaced Adolphe on drums. Adolphe went on to do session work for a number of artists on the west coast, and then joined Chilliwack in early '00s. John Punter (Spoons, Roxy Music) was brought in to produce the follow-up at Venture Studios in Vancouver. 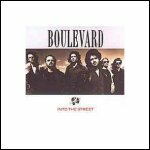 Label reps meanwhile insisted the record would be under the full blown Boulevard name because some people didn't understand the abbreviation. The pop/rock formula from the debut was duplicated, and their first single, "Lead Me On," reached #21 on the Canadian charts in early 1990. It was followed by the power ballad "Crazy Life," which broke the top 40, and "I Need You Tonight," which didn't. Stateside reception was anticipated to be bigger than it was, despite the band making several stops in the US over the remainder of the year. By the end of the year though, Stoll quit the band. The musical landscape was changing. 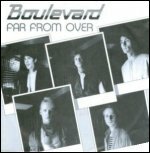 Grunge was the rave, and although Boulevard continued to hover around the top 20, and label reps opted not to go any further with them. This was just fine with the band, as everyone went their seperate ways and onto other projects. Both albums were re-released in 2010 through both Yester Rock Records and Metal Mind, who opted with their typical digipak. Neither release contained any new material.